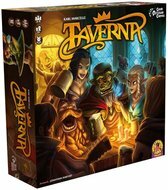 The tavern is open and business is booming, but like your drinks, the competition is stiff! 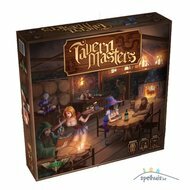 Time to employ some dirty tactics to ensure your tavern remains the best in town! 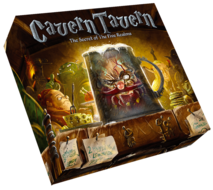 Tavern Masters: Dirty Deeds Expansion adds in 48 Dirty Deeds cards, as well as a handful of new Tavern and Patron cards, to help you get the edge on your competitors! With this Expansion, intended mostly for Competitive Play, the cards add in a "take that" element to game play. Dump a bag of rats in your opponent's back door to taint their food, or hire a thug to poison their ale! 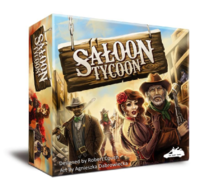 Spread rumors to scare away their patrons, or rig your games to earn more gold! 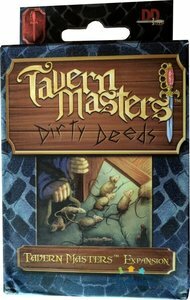 Tavern Masters: Dirty Deeds is a great way to up the stakes between players by letting them target one another and pull some nasty pranks, from the light-hearted to the downright devious!